After three years working as an engineer for chemicals giant DuPont, Brittany Arnoldt was ready for a change. She looked to business school, and chose Temple University’s Fox School of Business over Carnegie Mellon for her MBA. Why? A strong focus on experiential learning, an intimate 45-to-55 student class size, and the Fox Board Fellows program, which places MBA students on the boards of Philadelphia-based nonprofits as non-voting but active, working members for an entire academic year. “I wanted the opportunity to give back,” Brittany explains. “I’d always contributed to nonprofits so I was really interested in the opportunity to see how a nonprofit is run, how it operates, and how executive decisions are made. The product of a partnership between Fox Net Impact and Fox Management Consulting, Fox Board Fellows was first trialed in 2011. 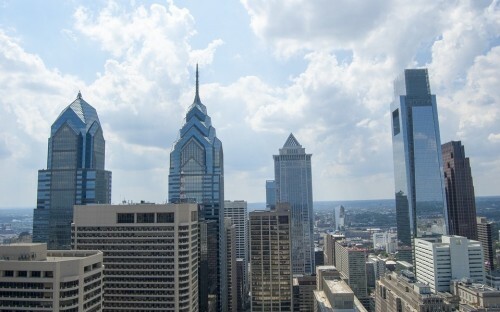 Since then, Fox MBA students have sat on the boards of 30 local nonprofits in Philadelphia, contributing over 7,000 hours of board service, and completing over 80 strategic projects in areas such as such as board development, marketing, planning and financial analysis. The program’s nonprofit partners include Entrepreneur Works – which supports local small businesses – Clarifi – which promotes financial literacy – Gearing Up – which helps women transition from abuse and addiction through cycling – and soccer-based youth development charity Starfinder. During her MBA, Brittany got involved with the Fox chapter of Net Impact serving as vice president of the Fox Board Fellows program. And she took part in the program herself, spending a year working with the Friends of Kensington Health Sciences Academy, a newly-established nonprofit board for a charter school located in one of the most impoverished communities in the United States. “It was a great experience,” she says. “You’re expanding your network and you’re getting exposure to a nonprofit in a board setting that you might not otherwise receive. A new, millennial generation of MBA grads are increasingly looking to make a social impact in their careers. “Fox Board Fellows caters to that mindset that millennials have,” Brittany continues. Brittany took up the role of acting secretary for her nonprofit board. She organized meetings, took minutes, and helped develop a new accounting system and spending policy. After her MBA, she landed a job in finance at Novo Nordisk, a Danish multinational pharma firm big on social responsibility and sustainable business practices. For, Maureen Cannon, Director of Fox Management Consulting, the success of Fox Board Fellows comes as no surprise. Last year, Fox placed 97% of its MBA students into graduate jobs. “What the students demonstrate on the program translates very well into the for-profit world,” she continues. “Fox Board Fellows is designed to help students become the well-rounded, thoughtful, self-reflective leaders that the school wants to produce.